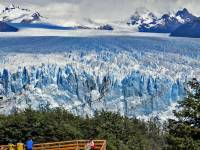 Our G Adventures group moved from El Chalten to the Hotel Bahia Redonda in El Calafate. El Calafate sits in the barren rolling hills of Patagonia. 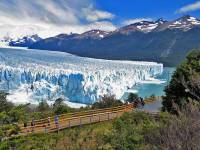 It’s a tourist town, with shops and tours geared toward getting people to Peritor Moreno, El Chalten and Torres del Paine. 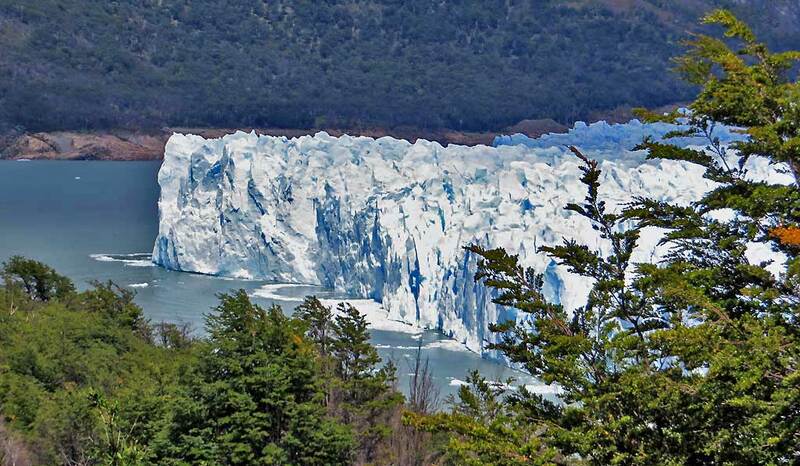 The next morning we set out on out Perito Moreno Glacier Tour with a local tour company subcontracted by G Adventures. 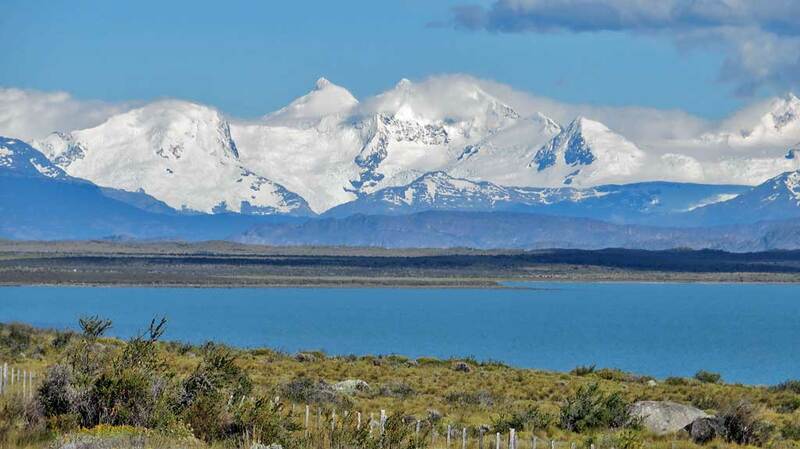 We approached along Lake Argentina, where we stopped to see the snowy peaks of the Andes. Andean condors flew overhead. 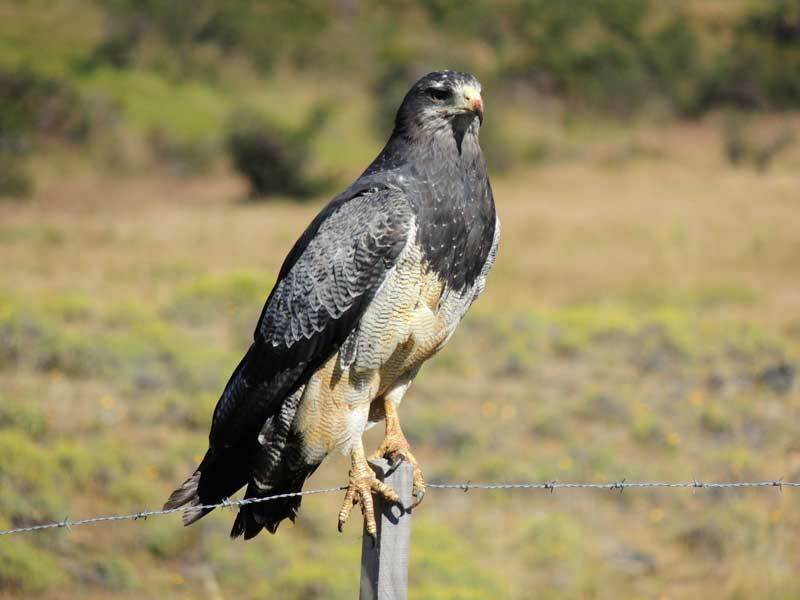 A caraca and an eagle sat on fence posts at our stop and checked us out carefully. 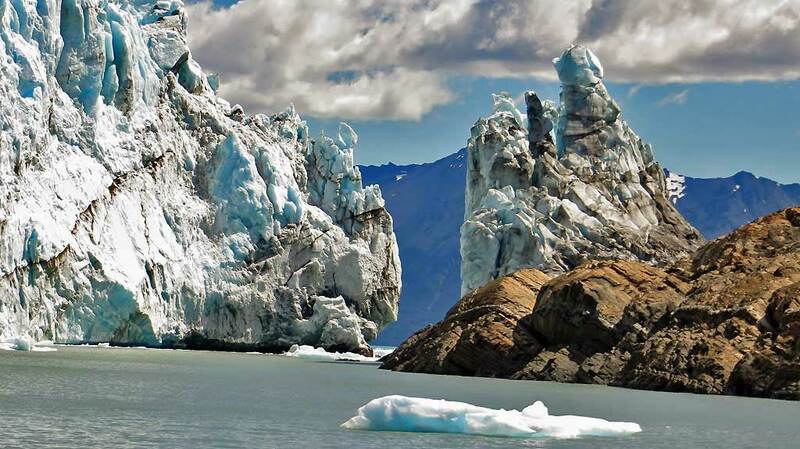 From there, we travelled along the shore of Rica Arm of the lake until we arrived at the glacier boat tour. Our guide explained to us why the Rica Arm looks like a reservoir behind a dam. The Perito Moreno Glacier can extend all the way to the tourist viewpoint. When it does, the Rica Arm is blocked from the main lake. It’s level can rise by up to 100 feet. 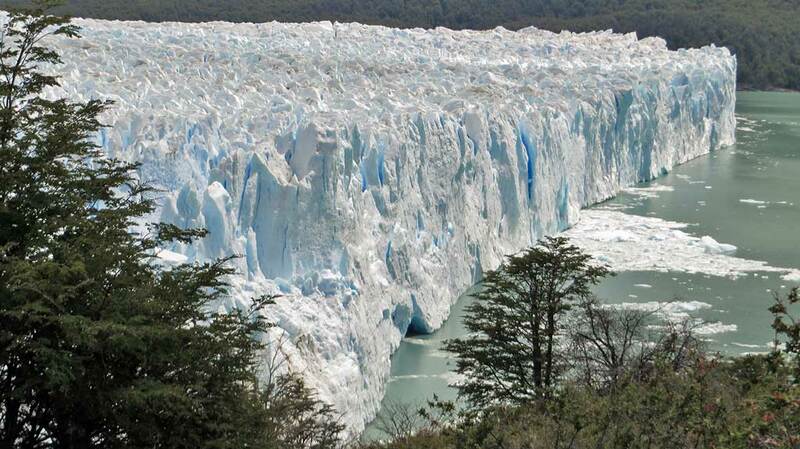 Eventually the water breaks through the glacier. 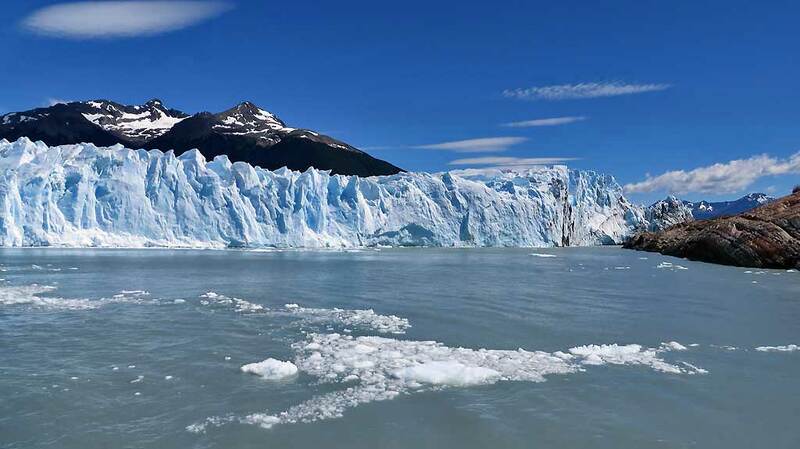 During the time of our visit, the small passage from the Rica Arm was open to the main lake. The boat cruise o the Rica Arm was fantastic. Each of us paid our own entry on the cruise. American dollars were the preferred currency. for the small fee. The weather was bright sunshine under cloudless blue skies. The cruise take you very close to the 200 foot high glacier, but they can’t get too close for safety reasons. The passage to the main lake was clearly visible and made for a great photo. By the time the boat cruise headed back to the dock, the weather was already changing. 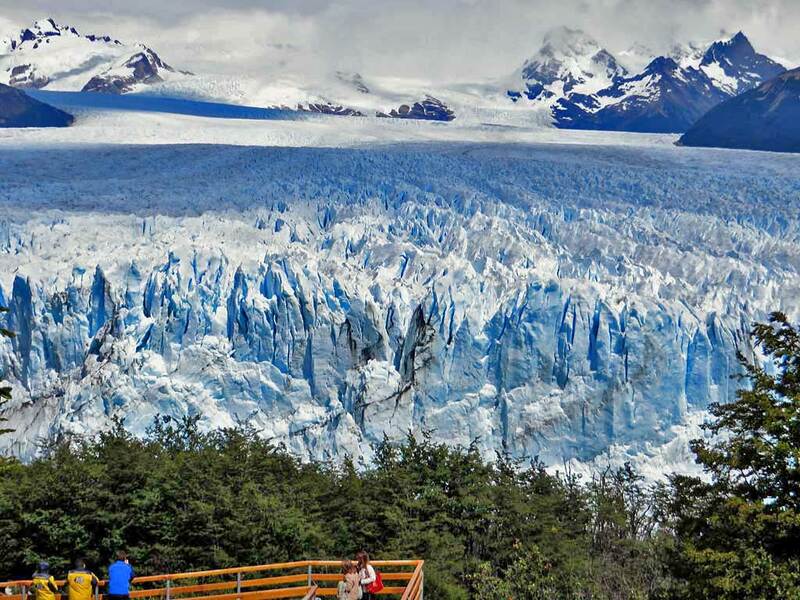 Streaks of high cloud were forming over the glacier. Next we headed over to the viewing walkways. The walkways are extensive. 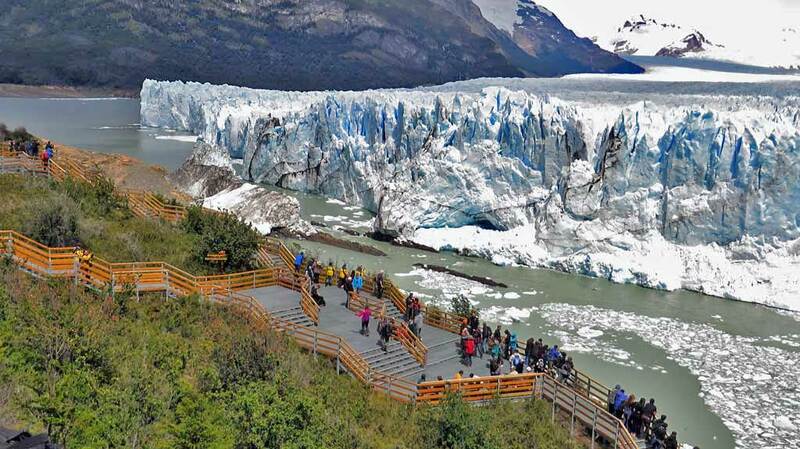 The cool thing about them is that they are so close to the glacier. We wandered the walkways and ate our bag lunches. 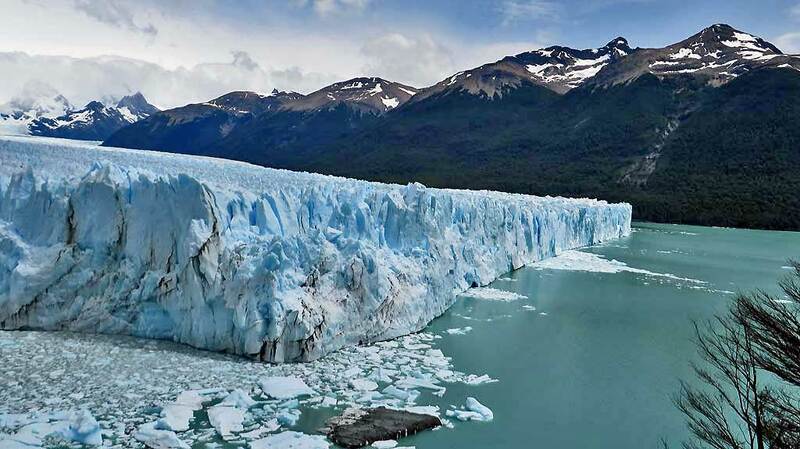 There were sounds of cracking ice and small collapses, but nothing major that day. After an hour had passed, the Patagonia weather had changed to overcast and the beautiful colors faded away. The light became eerie, almost like sunset in the middle of the day. It was lucky that we arrived early in the day, so that we started with bright sunshine at first. The Perito Moreno Glacier was a fabulous experience and very enlightening to realize how close you can safely get. 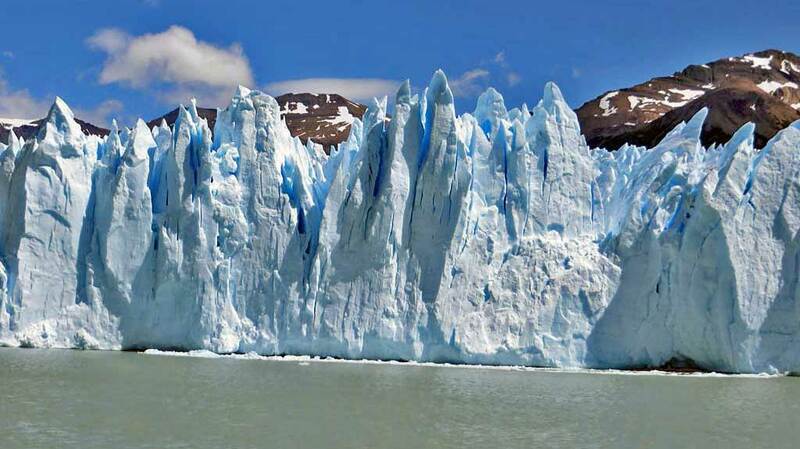 Next we returned to El Calafate for the night. 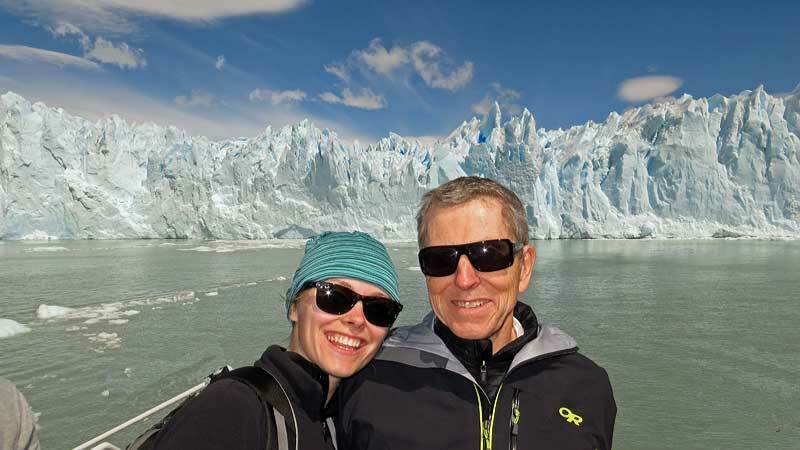 Then we headed out for Hiking Torres del Paine the next morning.